The TU846 is a module termination unit (MTU) for redundant configuration of the field communication interface CI840/CI840A and redundant I/O. 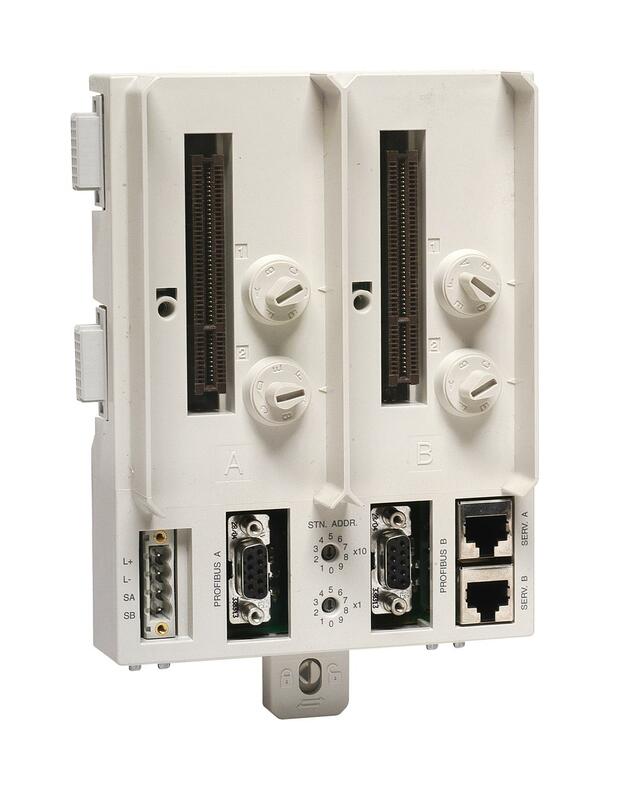 The MTU is a passive unit having connections for power supply, two electrical ModuleBuses, two CI840/CI840A and two rotary switches for station address (0 to 99) settings. A ModuleBus Optical Port TB842 can be connected to TU846 via TB846. Four mechanical keys, two for each position, are used to configured the MTU for the right types of modules. Each key has six positions, which gives a total number of 36 different configurations. Module Termination Unit for dual CI840/CI840A, redundant I/O. TU846 are used with redundant I/O modules and TU847 with single I/O modules. The maximum ModuleBus length from the TU846 to the ModuleBus terminator is 2.5 meters. TU846/TU847 needs space to the left in order to be removed. Cannot be replaced with power applied. The TU846 is a module termination unit (MTU) for redundant configuration of the field communication interface CI840 and redundant I/O. The MTU is a passive unit having connections for power supply, two electrical ModuleBuses, two CI840 and two rotary switches for station address (0 to 99) settings. A ModuleBus Optical Port TB842 can be connected to TU846 via TB846. Four mechanical keys, two for each position, are used to configured the MTU for the right types of modules. Each key has six positions, which gives a total number of 36 different configurations. • Two service tool connections. • Two rotary switch for station address setting. • Connection for two ModuleBuses. • Connector for ModuleBus Optical Port. • Mechanical keying prevents insertion of the wrong module type. • Latching device to DIN rail for locking and grounding. •Two rotary switch for station address setting. •Connector for ModuleBus Optical Port. •Mechanical keying prevents insertion of the wrong module type. •Latching device to DIN rail for locking and grounding.